The tour begins with a 45-minute boat ride going to St. John from Charlotte, Amalie, St. Thomas. The boat docks at the charming town of Cruz Bay, wherein an open-air safari vehicle is waiting for tour passengers to board for a scenic island drive. 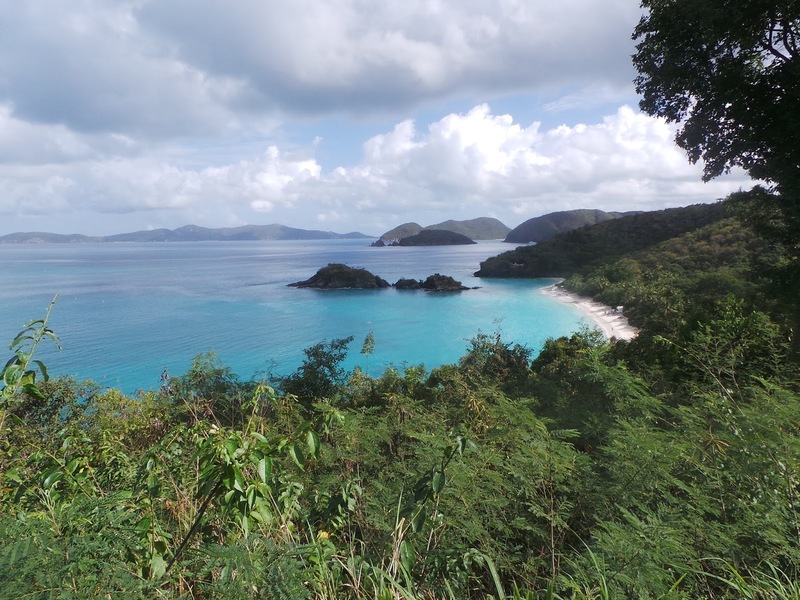 A tour guide (the driver) will provide you information about the rich history of St. John, while enjoying the tropical lush foliage and the indigenous wildlife at the same time during your sceninc sightseeing. This tour also mainly shows St. John's panoramic views of the British Virgin Islands as well as its white-sand beaches. Visits also include scenic overlooks of Trunk Bay, - considered to be one of the most photographed beaches in the world, Caneel Bay, Hawksnest Bay and many more. From Caneel Bay, you'll also be able to look at the scenic view of the famous Rockefeller plantation. Another highlight will be a drive to Bordeaux Mountain which is the highest summit in the Virgin Islands at 1,277 feet elevation,which also provides one of the most extraordinary vista points. The tour ends back at the louche part of Cruz Bay. Some free time will be for shopping. There are upscale shopping spots in this quaint town. There is also a visitor center (V.I. National Park) just located at the Cruz Bay docking area in St. John for visitors who want to know other activities to do while exploring the island.